After watching the very satisfying conclusion to the first season of Dominion I have to say I was impressed by the whole story arc and multi dimensional characters. While watching I loved trying to spot all the emblems that represent the senate houses, I managed to find all 11 in the end, although one came from the SyFy Welcome to Vega website . Not 100% happy with all of them, but they are the best I think I can get based on the limited screenshots I have managed to grab. I sent a few tweets out with the simple version (below) and the Dominion Fan Site DominionFans.com asked me for a higher resolution version, with the names of the houses, for their fan art pages. 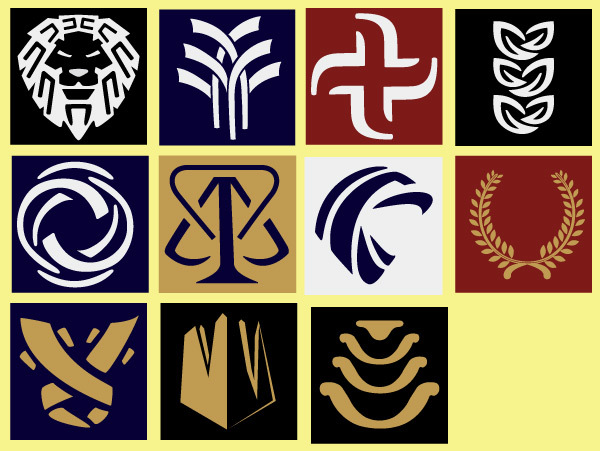 The first problem is that I don't yet know all the house names, and I certainly don't know which emblems relate to which, so I have only added the ones I am sure of for now. I decided to create something else to be a little more arty, and the design above is the result. 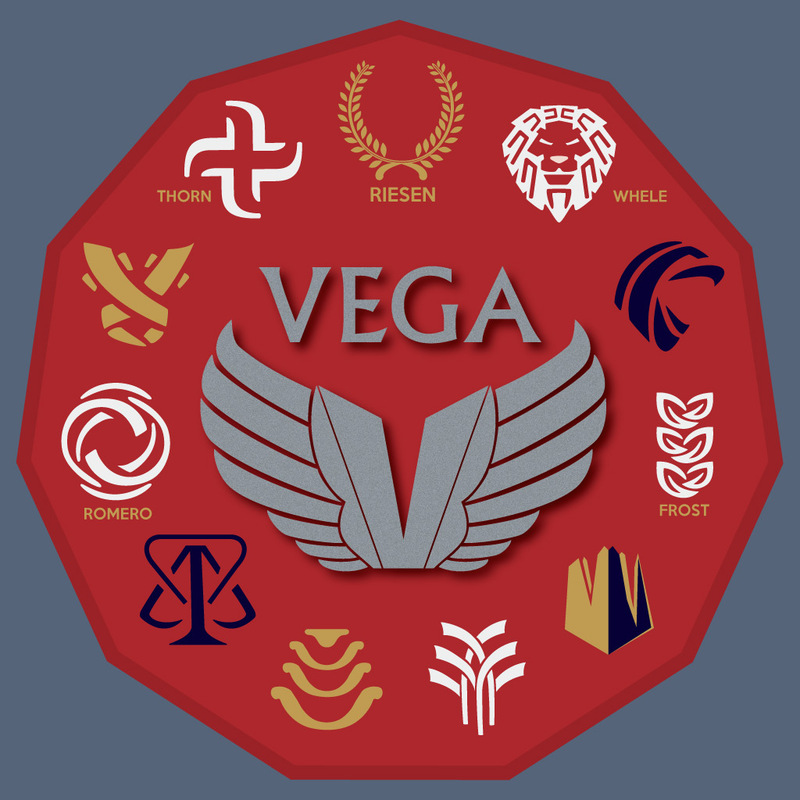 It features the senate house emblems and the logo of the Vega military. I'll update it when more senate names / emblems can be matched. One final thing or now is that I have created a new Dominion category page on this website so you can simply jump to all the posts relating to it that are posted here. Here are a couple of items for those interested in the show, both with my version of the eye image that is seen in the pilot episode credits. The version with the wings has a quote, also from the pilot.